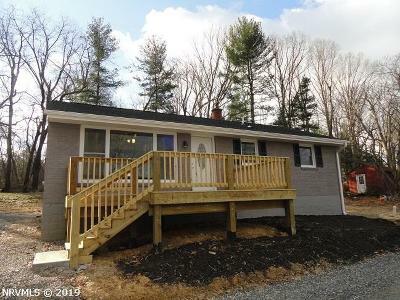 3 bedroom 2 bath Home sitting on 3.333 acres of land. A complete remodel on this Home include: New roof and gutters, Windows, Heat pump, kitchen cabinets (natural Hickory) and appliances, all new Hall bathroom, master suite addition, light fixtures, laundry moved upstairs, hardwood floors refinished and blown in attic insulation. There has also been a front porch/deck added as well as a back porch. Basement is outside access only.